Life on Arran is still top quality despite challenges to keep it a special place, says a new report. 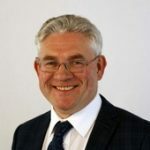 Chairman of the Arran Economic Group (AEG) Tom Tracey said in his annual report for 2018 that the island remains in a great position when it comes to growth and well-being but there was ‘lots more to be done’ to improve the economy. ‘Growth remains over five per cent and quality of life is within the top 10 per cent of Scottish Local Authorities,’ he said. Island life is not without its problems, noted the report. Arran’s overall population is declining while numbers of older residents are increasing. 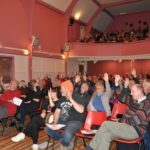 Impact of that means a larger strain on health and social care services -although on the plus side, it is the older population who are Arran’s biggest volunteers holding the island’s social fabric together, said Mr Tracey. A shortage of working-age people on Arran is another issue needing to be taken to task, according to Mr Tracey’s report that also highlighted the need for affordable homes and finding ways to encourage more working people to stay and new workers to move to the island. ‘With the North Ayrshire Council commitment to 34 houses, Trust Housing Association to 20 and Arran Development Trust’s plan for 50 plus houses, we will have made a significant dent in demand over the next two years,’ said Mr Tracey. Digital connectivity continues to improve on the island with Superfast Broadband uptake increasing. Arran Broadband, using radio wave technology, continues to expand and Lamlash and Kilmory will join Brodick in 4G by the summer. CalMac fleet and the delay in our new ferry is creating both capacity and reliability problems difficulties but are being addressed at Ministerial level, said Mr Tracey. ‘The basics of the economy are strong and improving. The new harbour is complete and will continue to improve. The Health & Social Care plan and actions are in place. We have line of site of 100 plus affordable houses over the next two years. We have gone from zero Superfast to 100 per cent coverage and 56 per cent uptake. A bit like Christmas, 4G is coming. ‘By necessity, ministerial and island focus, together with hard work, boat capacity and reliability issues will be mitigated throughout this year and next, with plans to resolve over the next two years,’ he said. Lochranza Centre, Auchrannie, Octopus Centre and the New Lagg Distillery also got a mention in the annual report for showing the private sector’s underlying confidence’ in Arran. ‘So, lots being done, lots more to be done. 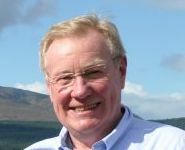 The challenge remains the same, to do all this while maintaining the overarching principle of keeping Arran a special place,’ concluded Mr Tracey.